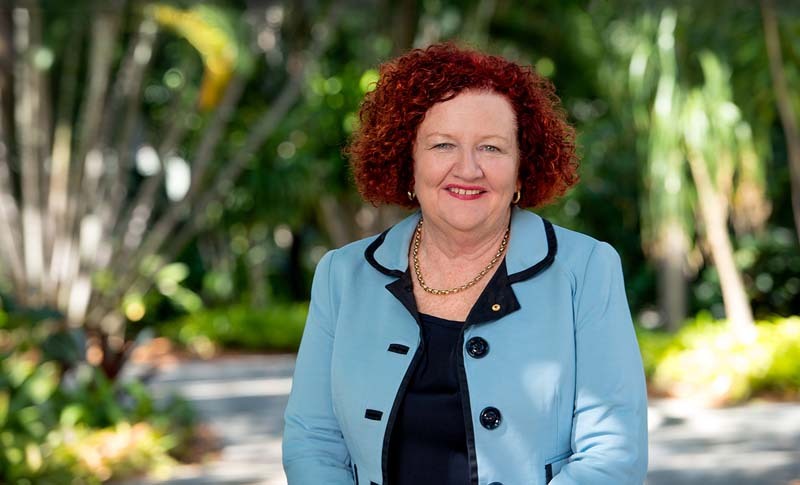 Professor Margaret Sheil was appointed as Vice-Chancellor and President of Queensland University of Technology from February 2018. She was previously Provost at The University of Melbourne, an academic in chemistry, and held senior roles at the University of Wollongong. She is a Fellow of the Royal Australian Chemical Institute (RACI), the Academy of Technological Sciences and Engineering (ATSE) and a Fellow of the Australian and New Zealand Society for Mass Spectrometry (ANZSM). Professor Sheil is a current Director of the Australian Nuclear Science and Technology Organisation (ANSTO) and was previously Chief Executive Officer of the Australian Research Council (2007-2012). Professor Sheil holds a Bachelor of Science and a PhD in Physical Chemistry from The University of New South Wales (UNSW) and was presented with the Science and Technology Alumni Award from UNSW in 2016.